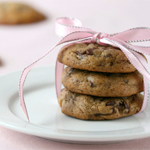 Now, I try not to repeat recipes on this site, even if there are some filed-away-by-heart recipes that I make over and over again just for myself (World Peace Cookies, I’m looking at you). However, once you read through my day trip to Monte Carlo and Nice I hope you’ll see just why I had to revisit this clafouti recipe. 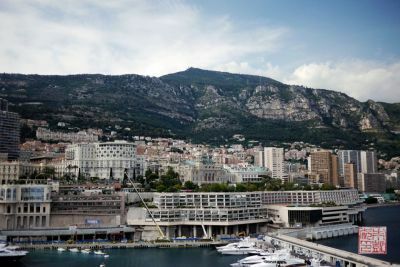 The second stop of our cruise, and our only French-speaking stop, was Monte Carlo. 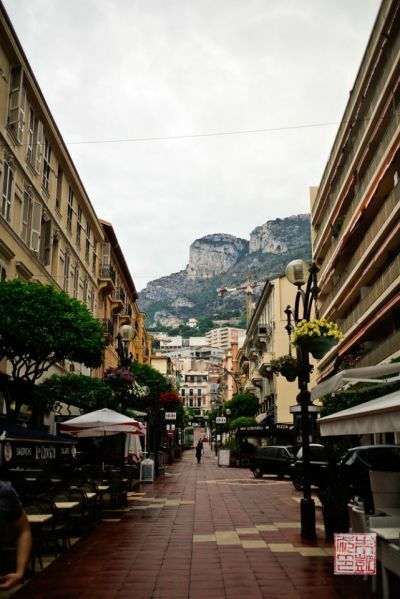 Above, the chic streets of Monte Carlo – and the stunning views behind. It actually rained right before we arrived – the only day of the trip where it wasn’t perfect-postcard-blue. 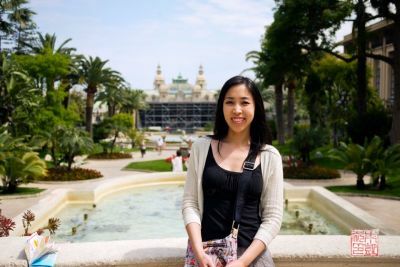 Monte Carlo is chic, no two ways about it. 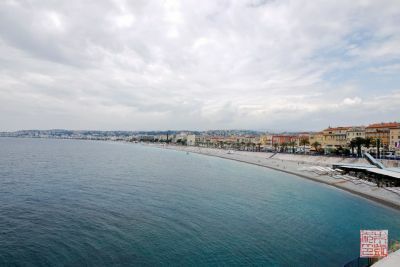 As we had little desire (or financial means) to spend the day in luxury boutiques or gambling at the casino, we took a winding, hour-and-half bus ride to the beaches of Nice, France. 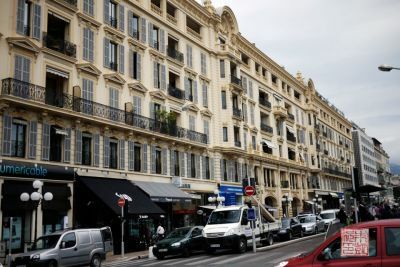 Nice looks exactly you’d imagine a French resort town would – casual yet cosmopolitan at the same time. The elegantly maintained buildings and its seaside location reminded me a great deal of the city of Koriko in Kiki’s Delivery Service, one of my all-time favorite movies. 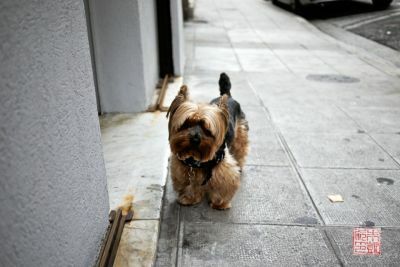 Of course even the dogs are chic in France. 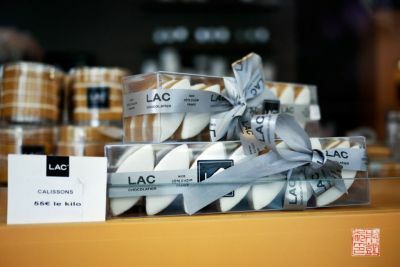 It would have been impossible to leave France without finding at least one pâtisserie; in this case, we stumbled onto Pâtisserie Lac, a perfect little jewel box of immaculately crafted confections. I would have liked to have sample them all, but the price tag above should give you an indication of why I couldn’t. Whenever I see redcurrants it always says French to me. 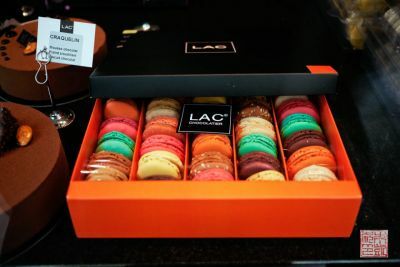 Some very vibrant macarons. 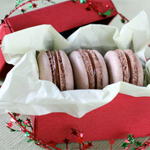 They were selling less-than-perfect, slightly smushed macs at the counter for half price. I’m not too proud to say I took advantage of the offer and they tasted just fine. Our only chance to get a real French meal. We lunched at a little bistro just a couple blocks from the ocean, called La Merenda with a satisfyingly non-touristy menu. 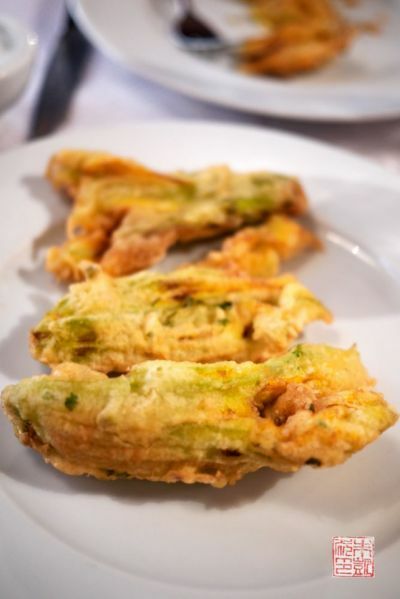 Beignets de fleurs de courgettes – fried zucchini flowers, a specialty of the region. Soo good. 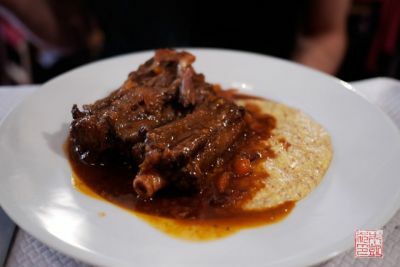 Daube de boeuf a la Provencale – beef stew, served over a mustard-y polenta. We could have eaten bowls of this. 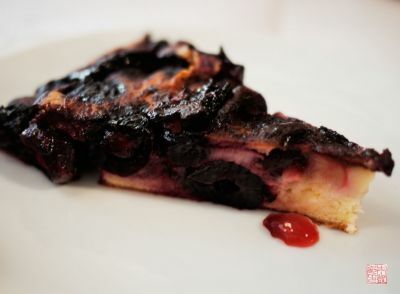 What more appropriate ending to a casual lunch than a slice of clafouti, choc-a-bloc with unpitted black cherries? 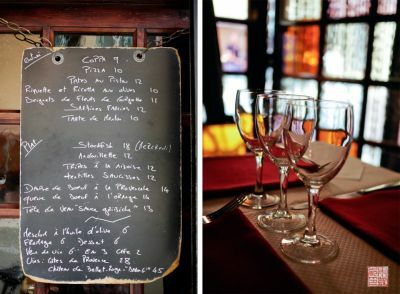 Everything was made in a tiny little open kitchen at the back of the 15-seat restaurant by the husband/chef-owner while madame ran the register. Afterwards we took a stroll along the famous seafront of Nice. It was a little overcast for sunbathing but a beautiful view nonetheless. The streets right behind the beach are pleasantly narrow and twisty, filled with all manner of stores selling the typical tourist trinkets, ice cream, and some truly lovely local goods. 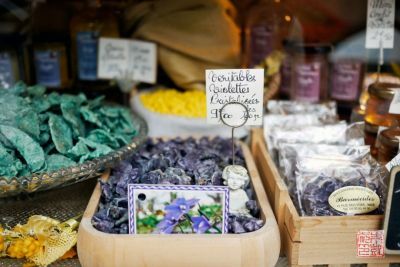 There were crystallized violets for sale in this tiny store- you can also see crystallized mint in the background. I am also in calligraphic envy at the little handwritten signs – le sigh! A sea salt vendor. I had to stand and just admire the sheer gorgeousness of the colors. 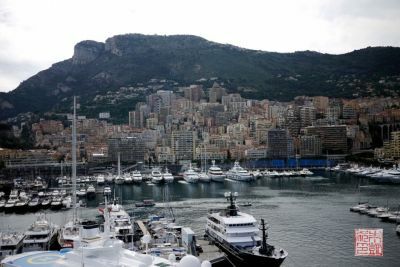 Back in Monte Carlo, a view of the town against the mountains. Right in the center of the picture you can see the famous casino. No, we did not pay 15 euro entry fee to enter the casino proper – we weren’t properly attired, anyway. Right behind me you can see the casino again. What looks like scaffolding in front of it is actually the back of temporary bleachers erected for the Grand Prix. We arrived the day after the races ended, but all the roadblocks and viewing stands were still up, making it tricky to maneuver around. They really do turn the entire town into a giant race course! Menu from one of the many fancy restaurants we passed by. 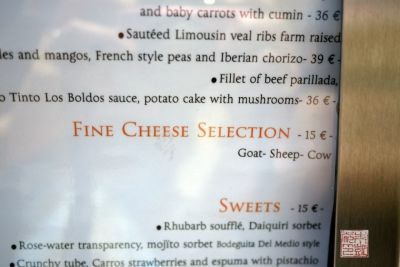 I thought this was really funny – the cheese descriptors consisting entirely of animal species. Another view of the Monte Carlo. Definitely one of the prettiest ports we sailed into. Also note the abundance of luxury yachts. So! Having eaten authentic clafouti in Nice, it was difficult to think of what could be a more appropriate recipe to share in this post than…clafouti. Even though I’ve made it before. 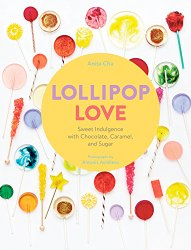 But you know, every time you make something again, you hopefully learn something new – a refinement of technique, perhaps, or a twist of ingredients for a different slant. What I learned about clafouti was that by definition it contains cherries. So saying cherry clafouti is actually redundant. 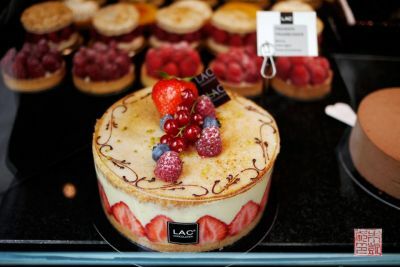 You know the French: if there’s anywhere they value exacting precision, it’s in gastronomy. 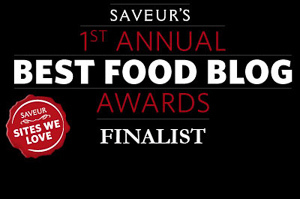 A word defines a dish, down to origin, ingredient, technique. 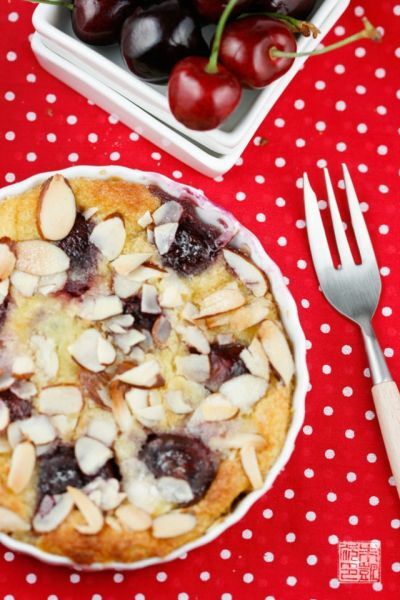 A clafouti, precisely, is a cake made of a custard batter poured over cherries. 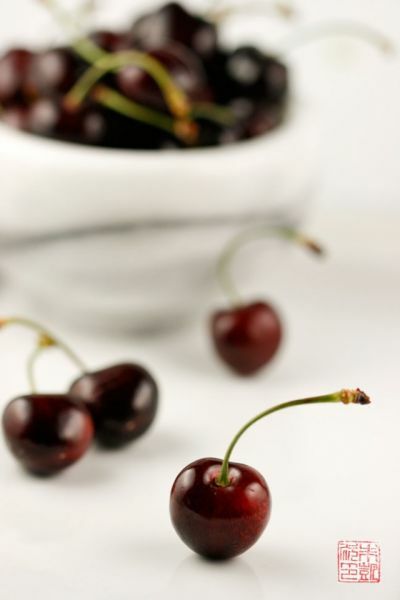 Traditionally, the cherries should be unpitted, as they impart additional flavor to the dessert. Of course, today, there are variations upon variations of clafouti, using all sorts of fruits, with and without crusts, from creamy and just-set to firm and cakelike. 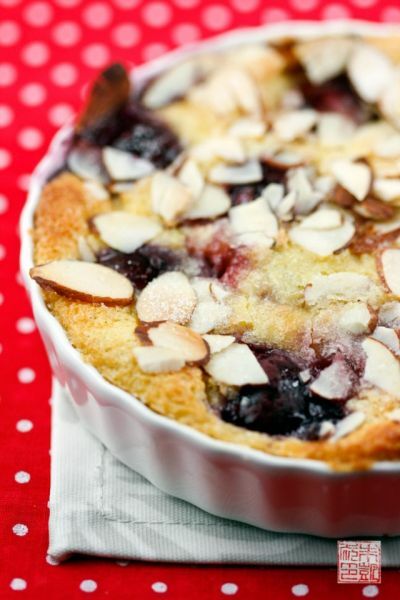 Bonus French lesson: if it’s a clafouti made with fruit other than cherries, it’s called a flognarde. As I said, the French have seemingly invented a word for every dish they’ve made. I chose to tweak my favorite clafouti recipe: I’ve tried a couple versions, and I prefer using creme fraiche in mine, which gives a more robust richness and pleasant tang to offset the burstingly ripe cherries. I pit my cherries, but if you leave yours in, do be sure to warn your dinner guests! I also took a hint from Jen and added a layer of almonds on top. In addition, I liberally sugared the baking dishes and the tops of of the clafoutis, which gave them a nice crunchy crust right out of the oven. I like my clafouti cooled down but still warm – no whipped cream necessary. We would have loved to have stayed more than a day in France – a return visit seems in order, in the near future! 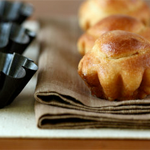 Preheat the oven to 400 degrees F. Butter and sugar a 9-in baking dish or pie plate, or individual ramekins, and place on a baking sheet. Whisk the eggs together in a mixing bowl. Add in the sugar and whisk to combine. 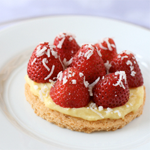 Add in the crème fraîche and whisk just until incorporated. Whisk in the vanilla bean paste and kirsch. 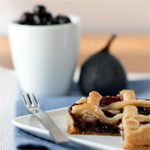 Place the cherries in the prepared dish or divide equally among the ramekins. Pour the batter into the prepared pan(s). Bake in the oven for about 15 minutes. 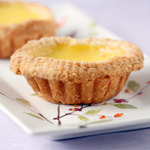 Take out and sprinkle the almonds over the top, then sprinkle with more sugar. 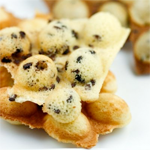 Bake for another 10 to 15 minutes, until the tops are golden and puffed and the centers are set. Let clafouti cool for about 15 minutes out of the oven before serving. 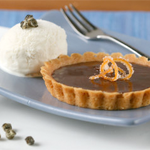 You can also serve at room temperature – it will keep for about 12 hours. 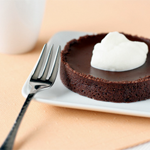 What romantic and beautiful photos – and a stunning dessert to boot! Of course you’re right, Martina! I’ve edited the wording slightly in the post. Thanks for the reminder – I guess geography lessons taken on vacation don’t stick very well! 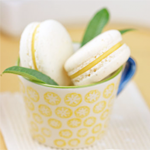 Wow the colours of the sea salt are incredible… what gorgeous photos and the recipe looks amazing too! 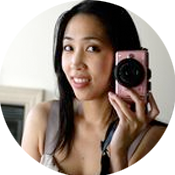 Hi, the clafoutis looks great! 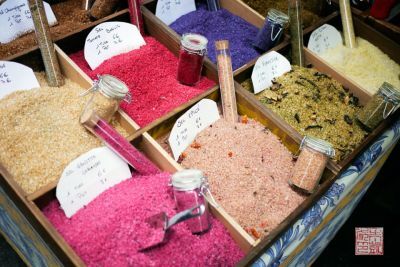 I’m going to Nice in 3 weeks and I was just wondering if you remember where that salt vendor is as it would be an excellent present for my mum? Thank you! So I just saw the movie “Remember Me” and you title reminded me of it and drew me in. (Cheesey, I know …) Looks like you are having an incredible summer! I love anything with cherries. I didn’t know clafouti only applied to cherries but then why would I want it with any other type of fruit? I didn’t realize this would be so easy to make.